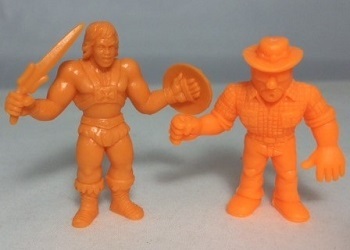 This week I’ll be going a bit left field and comparing the recent Masters of The Universe (MOTU) M.U.S.C.L.E. figures to the originals. 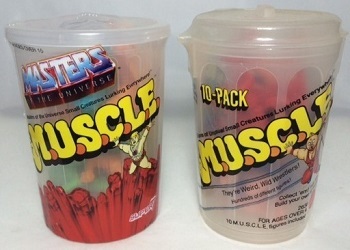 I have loose figures, the 4 pack, and the 10 pack. 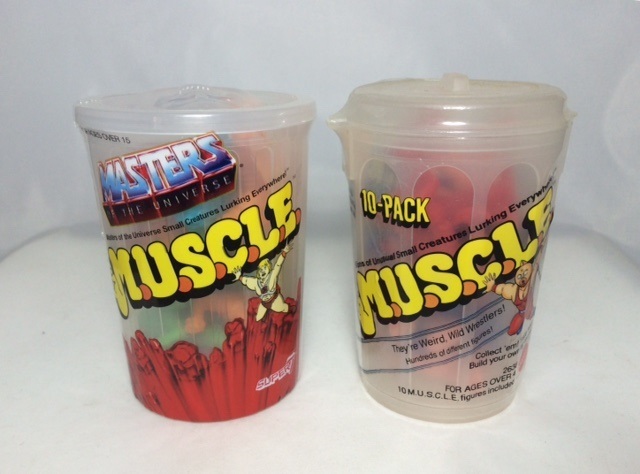 There is a 28 pack but I do not have the MOTU version to compare. Okay, so the 4 pack comparison. 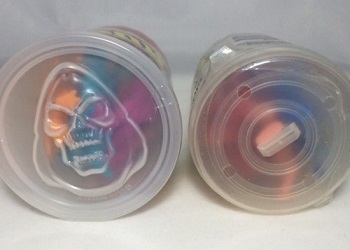 1st note to make is that the MOTU 4 packs are actually 3 packs. I assume they are done this way so the original 12 figures can be bought in 4 lots of 3 packs rather than 3 lots of 4 to maximise profit. 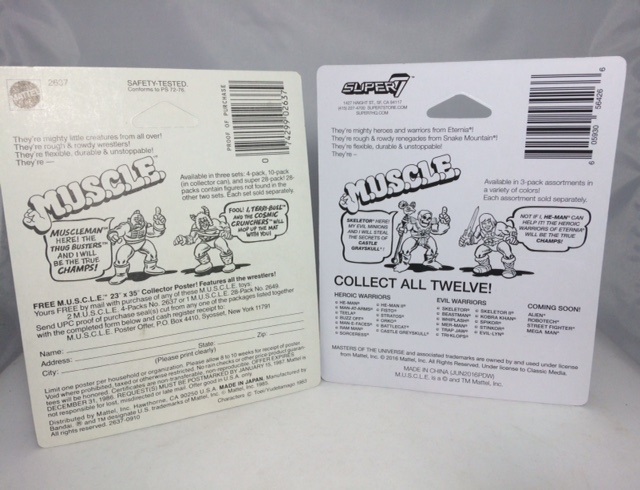 Looking at the 2 packs side by side I can say the cards are identical in size. The difference being in the bubble itself in which the M.U.S.C.L.E. one is slightly deeper. 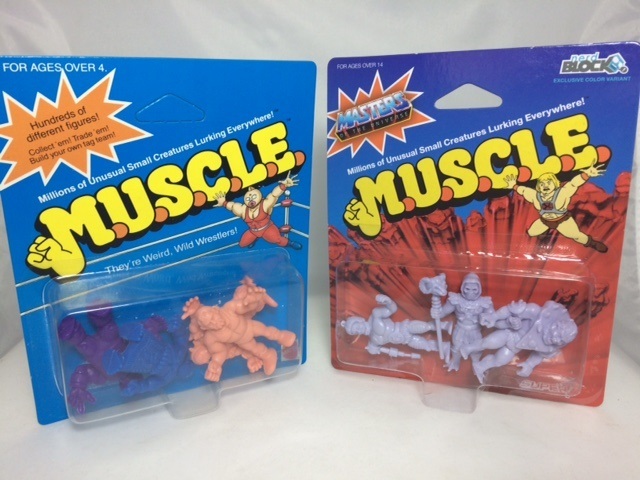 The artwork is very similar too though He-Man looks like he’s jumped off a cliff whereas Kinnikuman has at least jumped off a ring rope. 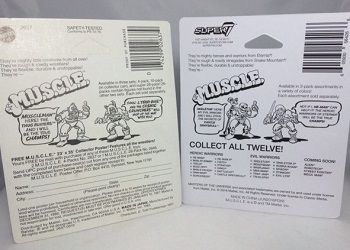 The back of the cards are very similar too, the most notable difference being the MOTU card is very white. The roles of the villian/hero are reversed on the MOTU card as well. The major difference here is that the MOTU asks to “collect all twelve” figures and names them. However, there are 13 Heroic warriors and 11 Evil Warriors to collect! A footnote also, Coming soon are Alien, Street Fighter, Robotech & Mega Man which I can only assume are M.U.S.C.L.E. figure lines. Onto the 10 packs. 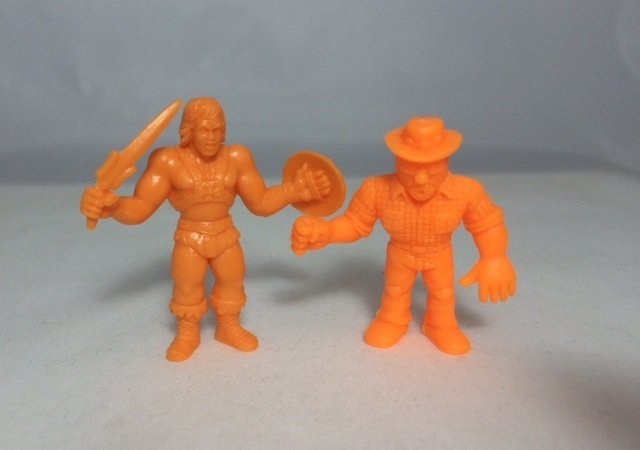 The MOTU 10 pack I own has 13 figures in it, it is clear instead of Opaque like a M.U.S.C.L.E. can which means you can see clearly which figures you have. 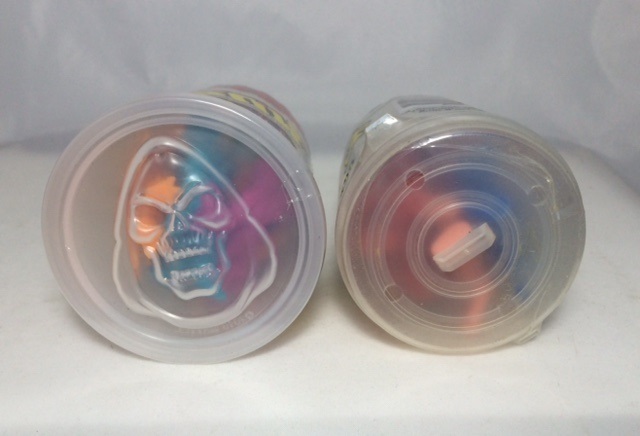 The MOTU can is also slightly shorter with a larger diameter and has an embossed Skeletor on the lid. This I quite like. 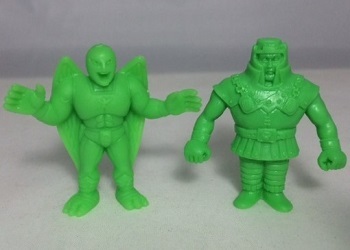 The MOTU packs only come with colored figures but promise 1 glow in the dark figure per can. Now, the loose figures. I have loose figures in 4 different colors so I can only compare those 5. The 5 colors are Flesh, Orange, Light Green, Dark Green & Magenta. The first thing I noticed is that the quality of M.U.S.C.L.E. figures are much better. 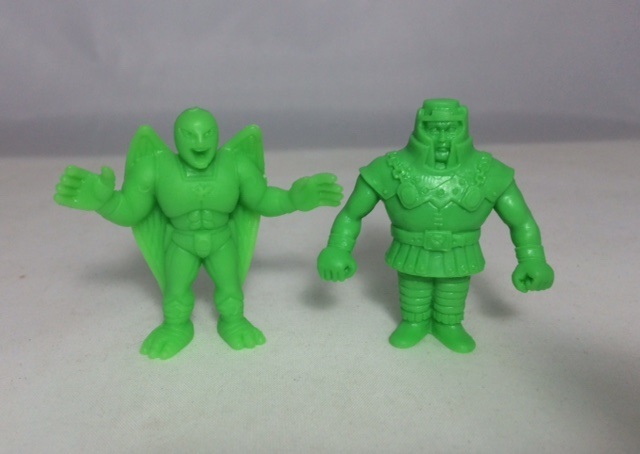 The PVC used is stronger which makes the MOTU figures more flexible but they are much more unlikely to stand up on their own, the quality control doesn’t seem to be there. 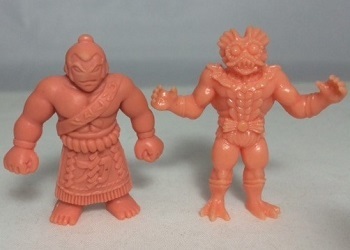 Flesh – the MOTU flesh is lighter, more similar to a 1991 Kinnikuman line figure. 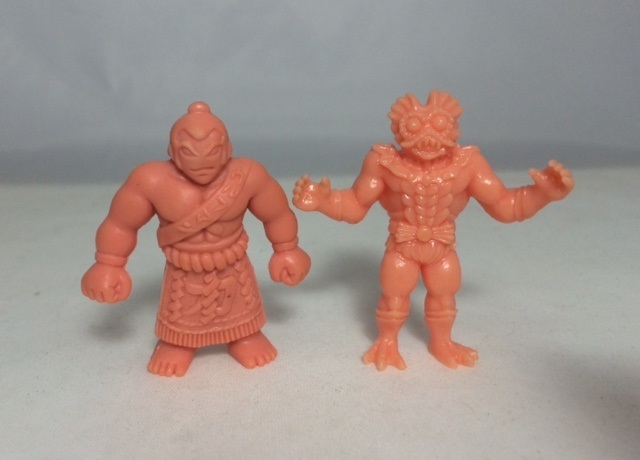 Orange – This one is the most disappointing, the MOTU is dull and just doesn’t have the nice neon look of a M.U.S.C.L.E. orange figure. 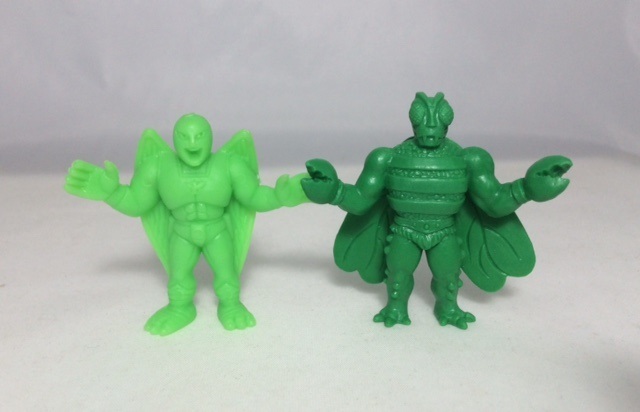 Light Green – a little better, pretty close to M.U.S.C.L.E. green but still not as bright. Dark Green – No M.U.S.C.L.E. comparison but those familiar with MIMP will see it’s close to the Pine Green color there. 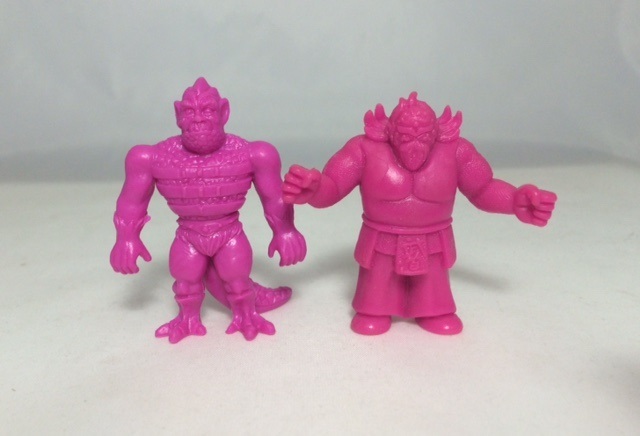 Magenta – The MOTU Magenta has a purple tinge to it nearly, not quite the same as a M.U.S.C.L.E. 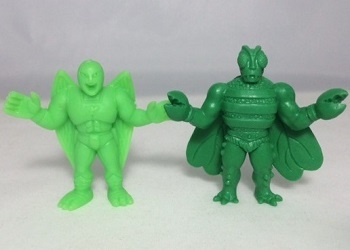 but a pretty good effort, in my opinion, the best of the MOTU figure colors. So there you have it. 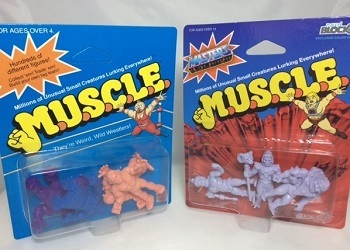 I will probably buy more of these figures as they are still overall not a bad effort, however, no reproduction figures can replicate the original M.U.S.C.L.E. figures to a perfect degree. This entry was posted on Monday, October 3rd, 2016 and is filed under UofM News. You can follow any responses to this entry through RSS 2.0. You can skip to the end and leave a response. Pinging is currently not allowed.